Success and accolades trails Zenga TV yet again with the mBillionth Award South Asia 2013 declaring Zenga TV as the winner in the mobile entertainment category. mBillionth Award is an integrated platform for recognizing innovations in Telecom & Mobile content/Applications/Models. 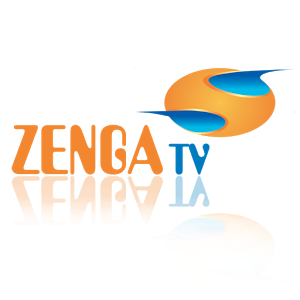 ZengaTV is a mobile and web streaming platform which allows users to watch regular TV channels, movies, shows and music on 2G, 3G, 4G and Wifi enabled mobile Devices and PCs, anywhere, anytime, free of cost. The company uses the 2.5G technology for its services and has garnered over 22 million active users with 65% of the market share. The mbillionth Award adds up to the many milestones Zenga TV has achieved in a short span of time and the company believes that their constant endeavor to fulfill their viewer’s requirements has helped them to emerge as a pioneer and a market leader. Mr. Shabir Momin, MD & CTO, Zenga TV.com said, “mbillionth is considered to be the most influential and leading platform in the entire South Asia and it’s indeed a moment of great joy and pride for everybody at Zenga Family to be conferred with this recognition. Our primary goal has always been to entertain our burgeoning number of users. This we have successfully achieved through constant innovation, superior technology which we have developed in-house and excellent customer service. These awards are a great motivation for me and my team to keep doing the good work for constantly improving the user experience and user satisfaction”. Zenga’s unique implementation on cloud helps scaling and user management from all over the globe on low network. This is one of the major plus points of this service that facilitates users to get easy access to a repository of thousands of national and international channels, movies, music and other shows. With unmatched streaming quality that doesn’t buffer at crucial moments, this service is free of cost. For watching content of your choice on a mobile device, new users have to download Zenga application on their mobile or simply visit: http://m.zengatv.com or http://www.zengatv.com for access through PC. mbillionth Award South Asia 2013 which concluded on 18th July, 2013 announced as many as 33 winners in various categories which included business and commerce, banking, education and learning, entertainment, health and governance. The jury panel was a mix of telecom experts, entrepreneurs, market experts, mentors, consultants, active journalists & writers on Telecom Developments from 8 South Asian countries. The experts were from Vodafone India Foundation, Glocal University, Nokia, PWC, ONE97, Mydala, ICTA- Sri Lanka, ICIMOD, Steadworks, D Net- Bangladesh, Ideosync Media Combine, Mint, IIT Kanpur, Com First India Pvt Ltd.
“DigitalOcean is closing the massive gap between platform providers.”-Mr.Prabhakar Jayakumar, Country Director, India – DigitalOcean.